Another Primitive Pieces by Lynda Block Party for BreastOvarian Cancer. Box lunch socials were very popular when my Mom was growin' up. Young women would pack a very special lunch and take it to a social event. Young men would bid on that boxed lunch, in hopes of spending time with that young woman - under strict adult supervision of course! So here's a very special page to have our own social event. This is where you can volunteer to do some great work for Women's cancer. 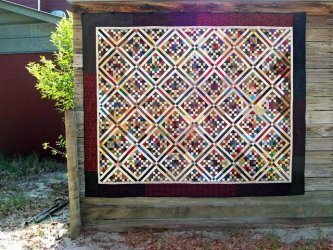 So far my backdoor friends, their friends and myself have successfully helped Quilts for a Cause, Inc. make quilts that have been auctioned off. We call our event "The Block Party". The Block Party for 2012-13 has come to an end. 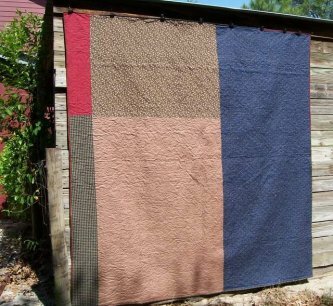 One version of a completed block that we will be making is posted below: Because the colors will be the same, to make this scrappy each of the 4 sections you make will not be sewn together in the same completed block. This event was a HUGE success with 552 quarter blocks returned to me. 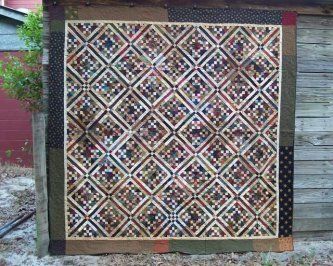 5 very large quilts have been made and you can see them posted below. 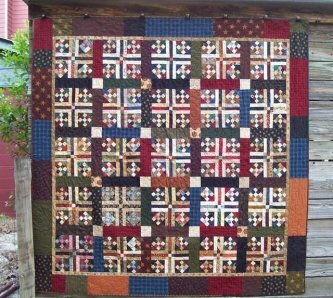 It is with heartfelt gratitude that the response to this project has been increasing in size each time we get together to have a "Block Party" for our friends at Quilt for a Cause, Inc.
Cancer has affected all of us in some way. It is with great HOPE that some day this horrible disease will no longer affect anyone we love. We have FAITH that the work we do here will help. We will continue to have the COURAGE and LOVE in our hearts to work together until one day we find a CURE. 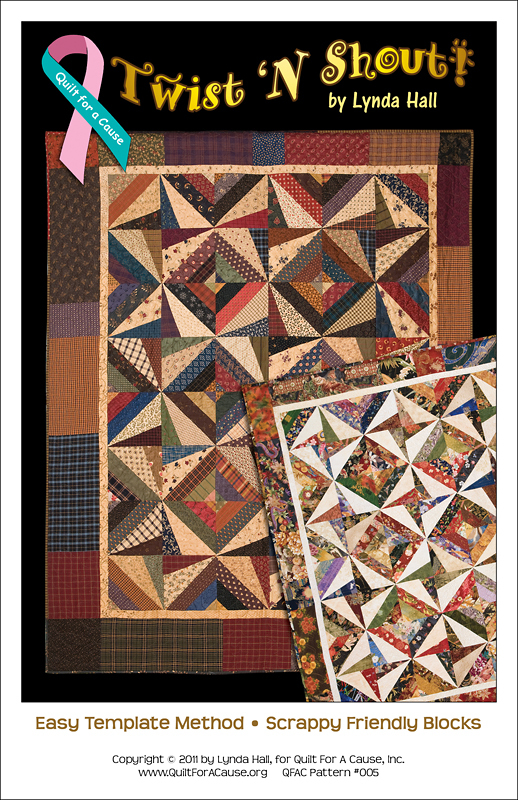 Because these blocks were quarter blocks, and stitched in different quilts, the label that includes everyone's name that participated will be on all 5 quilts that will be sold and/or auctioned off through Quilts for a Cause, Inc. 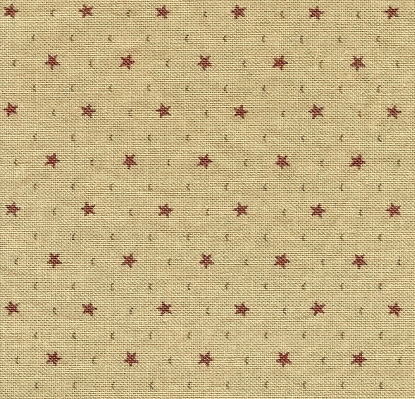 Here is the label that will be on each of the quilts. 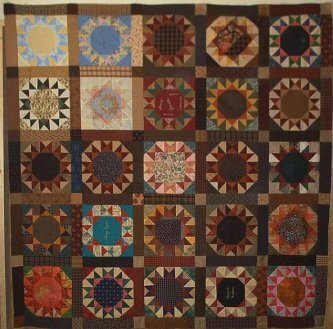 Each quilt will have it's own name and the size of the quilt also. 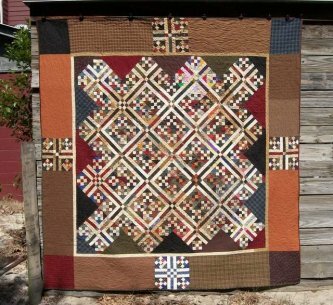 I want to take a moment to say a very special thank you to all the machine quilters that donated their time and batting to this project. 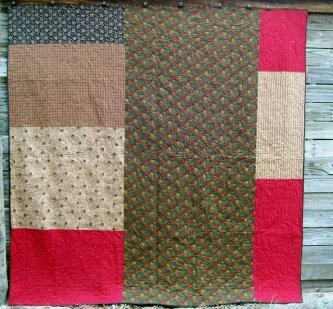 I would also like to say a special thank you to my sister in law, Donna Phillips, for helping me stitch all these quilts together. Also, to Donna and my friend, Carol Crago, for helping me stitch the bindings down. It was great fun visiting with these gals while we stitched. 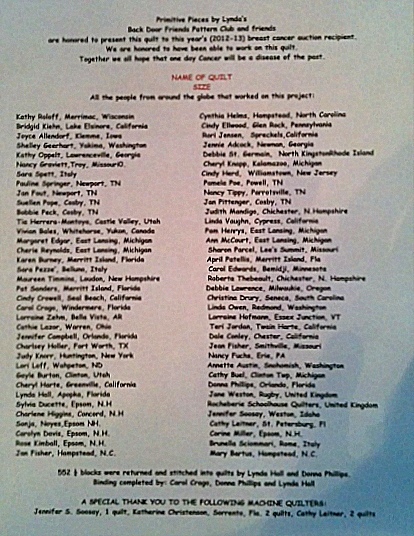 All quilts from around the globe that have been donated for this project can be seen on the Quilts for a Cause website. 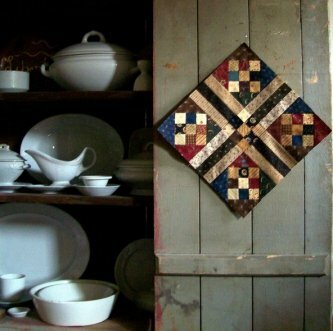 We started our first project in 2005 - 3 quilts were made for that auction and did very well. A SPECIAL THANK YOU to everyone that was involved. Sample of the block the quilts were made from. 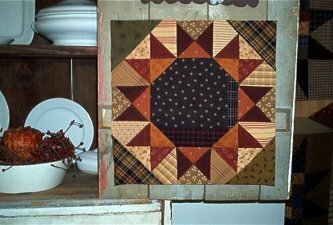 This quilt block has been made into one of my patterns. 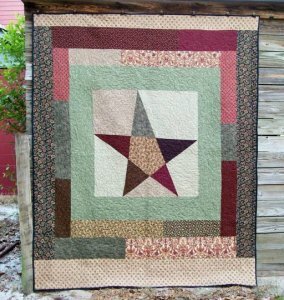 The quilt designed is REMEMBER THEM and can be purchased from the pattern page. In 2009 another block was designed. 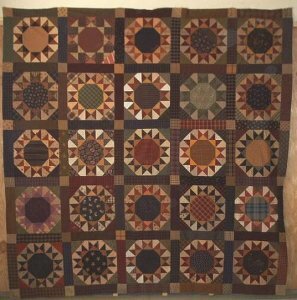 4 quilts were made from the block shown below. 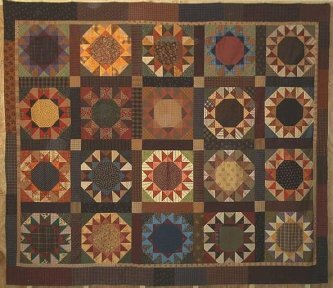 Here are the finished quilts that were made using this block. 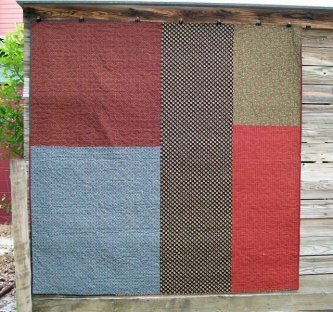 http://quiltforacause.org/ when you get to their site, click on patterns.